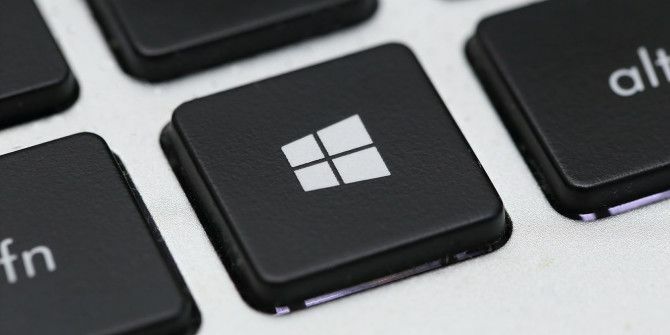 The Windows Key has been around since Windows 95, and between then and now, it has evolved from a gimmick into something truly useful. Plenty of hidden tricks exist in Windows, and this key is crucial for many of them. Here are a few that’ll make your life easier. Note: this isn’t an exhaustive list of Windows Key shortcuts. These are just the most useful ones — so no matter who you are, you have something to gain by learning these! Win+D: Hides all windows. Hit again to restore windows. Win+R: Opens the Run window. Win+Up: Maximizes the current window. Win+Down: Minimizes the current window. Win+Left: Docks the current window to the left. Win+Right: Docks the current window to the right. Win+#: Switches to the corresponding program in taskbar. Win+A: Opens the Action Center (notifications and quick settings). Win+C: Activates Cortana listening mode How to Set Up Cortana & Remove Her in Windows 10 How to Set Up Cortana & Remove Her in Windows 10 Cortana is Microsoft's greatest productivity tool since Office. We'll show you how to get started with Windows 10's digital assistant or how to turn Cortana off for improved privacy. Read More . Win+I: Opens the Settings app. Win+Tab: Opens the task view, showing all open programs and making it easy to switch to the one you need. Still itching for more? Check out these Windows 7 keyboard tricks 25 Cool Windows 7 Keyboard Tricks That Will Impress Your Friends 25 Cool Windows 7 Keyboard Tricks That Will Impress Your Friends Read More , most of which still apply in some form or another on Windows 8.1 and Windows 10. How many of these shortcuts did you know? Which ones do you find the most useful? Let us know in the comments below! Explore more about: Keyboard Shortcuts, Windows Explorer, Windows Tricks. i usually use win+e and d.
I think Win+Tab also worked in Win7. If only I had a second monitor to make this shortcut useful, haha. Thanks for sharing, Joe! Ah, I never use the Ease of Access Center so this shortcut completely flew under my radar. Very helpful for those who need magnifiers, screen keyboards, and text narrators. Excellent, thanks Howard! I believe it's Win+Pause (Win+Break doesn't work for me) but thanks for sharing. Showing System Properties is definitely a useful shortcut. Still the best way to find the device manager after all these years! Whoa, I didn't know that one. All these years I've been navigating from window to window in order to find that blasted System Settings page. This is a game-changer. Thanks Sean! Win+Tab was in Windows 7, but its function changed in Windows 10. It used to be a glorified program switcher (similar to Alt+Tab) but now it opens up the Task View, which is a broad overview of all open programs. Small difference, but I prefer the Windows 10 version. Thanks Tanvir! Win+D is now different: it takes you to the desktop. Hides all windows and takes you to the desktop is pretty much the same thing, brah.